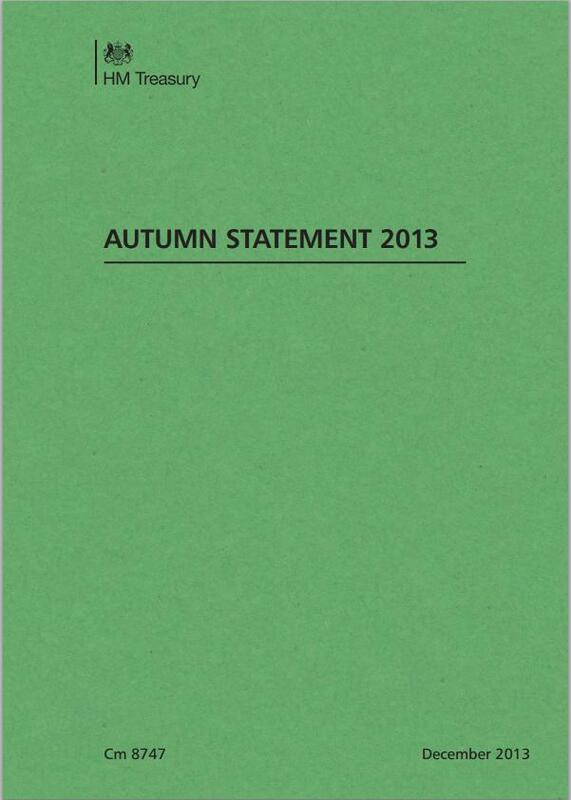 Autumn Statement | En Avant! We thought we would share with you our summary of the key 2012 Autumn Statement announcements of relevance to transport and the PTEs. £1.5 billion will be spent on improving the road network, of which £1bn will be invested in the current spending review period. £42 million for the Sustainable Transport Fund for cycling infrastructure, including cycling safety. Guarantee to support £1bn of borrowing at a preferential rate to extend the Northern Line to Battersea, to enable the commercial redevelopment of Battersea Power Station and surrounding site.NOTE: This is one of the first projects to benefit from the £40bn UK Guarantees scheme which provides guarantees to ensure that priority projects in the infrastructure pipeline can raise the finance they need. The scheme is open until 31 December 2014. A limit on the average increase in regulated rail fares and Transport for London fares to the RPI plus 1 per cent for two years from Jan 2013. Fuel duty rise planned for Jan 2013 cancelled and deferred to 1 Sept 2013. Strengthen the mandate of Infrastructure UK and increase its commercial expertise to boost the delivery of growth-enhancing infrastructure projects. As part of this, IUK plus an enhanced Major Projects Authority will undertake a detailed assessment of Whitehall’s ability to deliver infrastructure – to be completed by Budget 2013. New pilot delivery model for reducing the time taken to plan and deliver new roads. Assessing feasibility of new ownership and financing models for the strategic road network – progress report due in new year. The Statement highlights the success of the first round of City Deals with a special mention for Manchester’s earn back agreement with Government to unlock over £2bn of investment in transport infrastructure. LEPs will be asked by Government to lead the development of new multi-year strategic plans for local growth consistent with national priorities. They will be expected to consult with all relevant local partners. It is anticipated that the plans will provide LEPs with an increasingly important strategic role. To help LEPs fulfil this role, the Government will provide £10m per year for capacity building within LEPs. Each will be able to apply for up to £250,000 additional funding per year to support the development and delivery of their strategic plan. The Government will devolve a greater proportion of growth-related spending on the basis of these strategic plans by creating a single funding pot for local areas from April 2015. Funding will reflect the quality of the LEP’s strategic plans, as well as local need. LEPs will also be expected to leverage funding, including from local authorities and the wider public and private sector. The Government will seek to increase the proportion of spending awarded through the single pot. This is likely to include some of the funding for local transport. Further details to be set out in the Spending Review. A new concessionary public works loan rate to an infrastructure project nominated by each LEP (excluding London), with total borrowing capped at £1.5bn. A further £350m towards the Regional Growth Fund. Support for local authorities that wish to create a combined authority or implement other forms of collaboration (e.g. shared management) including ensuring existing legislation is fit for purpose. Detailed spending plans for 2015-16 will be set out in the first half of next year. Simplification of the Carbon Reduction Commitment energy efficiency scheme from 2013, including abolition of the performance league table. Full review to be held in 2016 the tax will be a high priority for removal when public finances allow.